White Lotus Dental specializes in many cosmetic dental procedures, including whitening, veneers, Invisalign®, and smile makeovers. To maintain the health and appearance of the teeth, Dr. Peravali performs dental exams and cleanings, sealants, and family care. To reduce pain during certain procedures or to soothe anxious patients, White Lotus Dental has dental sedations options. Missing teeth or a single tooth can be replaced with a crown, bridge, dentures, or dental implants for a restored appearance. White Lotus Dental is proud to treat families of all ages in McKinney, TX with compassionate and caring general, pediatric, and geriatric dentistry. When the inside of the tooth is infected, a root canal is used to remove the diseased pulp to save the tooth and prevent the infection from spreading. Specializing in family, cosmetic, and restorative dentistry, Dr. Karuna Peravali is a dentist with years of training and experience. 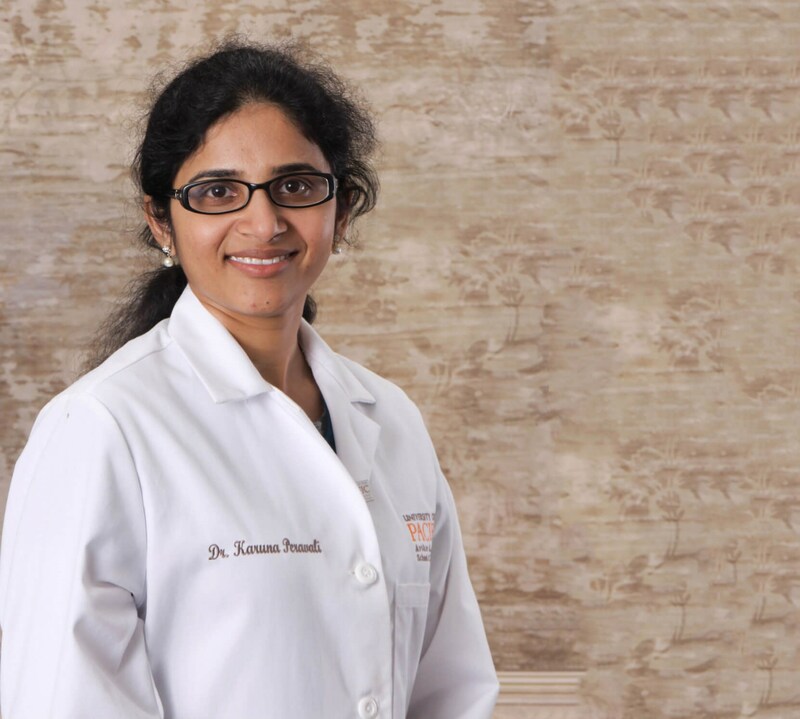 Dr. Peravali recieved her Doctorate of Dental Surgery from the University of the Pacific in San Francisco, CA. She then completed her general practice residency at Montefiore Medical Center in Bronx, NY. After working as an associate dentist in practices in Houston, Dallas, and Fort Worth, Dr. Peravali is proud to open her own practice, White Lotus Dental, in McKinney for North Texas patients. Striving to change the way people think about going to the dentist, Dr. Peravali created an office that makes appointments relaxing for adults and fun for kids. Dr. Peravali was nice and friendly. Listened to my concerns patiently. I highly recommend this dentist. The office is very clean, high tech and very affordable. The staff is very professional and helpful. I had a root canal done and I am happy that I chose white lotus dental. It was a very comfortable experience and I would definitely recommend anyone for dental issues. The clinic and the doctor are very approachable and friendly. Doctor is very Friendly with kids so that they cooperate well for dental treatments. Felt a little hectic of documentation but it's all to make life easier later. Great atmosphere, friendly staff and a more friendly doctor who listens to patients and explains all about concerns. A BIG THANK YOU DOCTOR & STAFF.Would recommend it anytime for patients of any age group.